Last month we had several gals in our church family give birth to babies. We also had one family gain custody of a newborn. Two of those families had some kind of dairy intolerance. So I began looking online and found a recipe at All Recipes that was dairy free. The recipe had reviews all over the map…everything from “Best bread ever” to “awful.” You know what I mean. I decided to give it a shot. One thing I did was to cut back on the yeast a little because it seemed quite a lot for that amount of flour. I also substituted avocado oil for the vegetable oil in the recipe. I made several loaves of this recipe and they all came out great. This particular recipe was made for someone who couldn’t tolerate cheese or milk products but could eat eggs and butter. I took it for a meal along with Amish Chicken and Noodles, Fried Green Beans, Baked Pineapple and a Caramel Apple Dump Cake Cobbler. I also took them a pot roast for a separate meal. Then I tossed in some Healthy Gluten Free Strawberry Banana Muffins and Creamy Sweet Potato Lentil Stew (both of which had cream) that I labeled specifically. That way the wife and kids could enjoy them for breakfast and lunch even if her husband could not. They always love my meals and are so appreciative that I go the extra mile to make sure they can eat everything (or label everything appropriately). Most breadmaker breads have milk or dry milk in the recipes (that you reconstitute with water). So I was glad to find this recipe. It’s simple, very basic, but just as wonderful as recipes that have milk, butter or eggs. While I can tolerate butter and Greek yogurt, I struggle with milk, cream or half-and-half, cheese, ice cream and sour cream. Although milk that’s been cooked in desserts or muffins doesn’t seem to bother me near as much as drinking milk straight up. It’s amazing the kind of accommodations you learn to live with over the years. 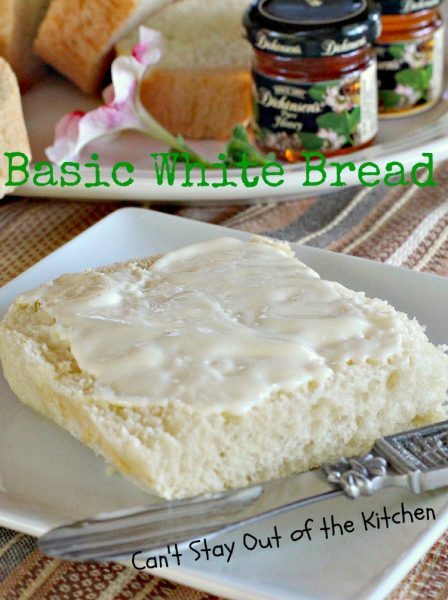 If you’re looking for a terrific Dairy Free White Bread recipe, this one is sure to fit the bill. 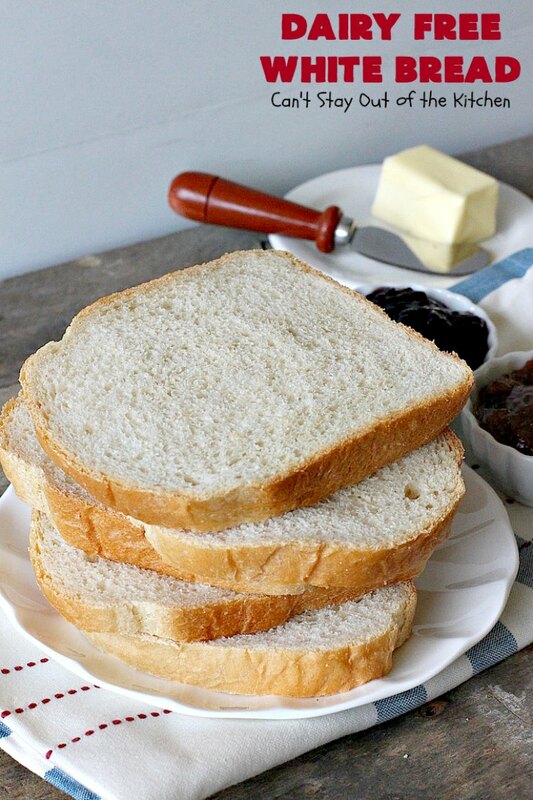 You have the convenience of making it in the breadmaker, too. It’s great for holiday meals like Mother’s Day, Father’s Day and Easter or for company or family meals. 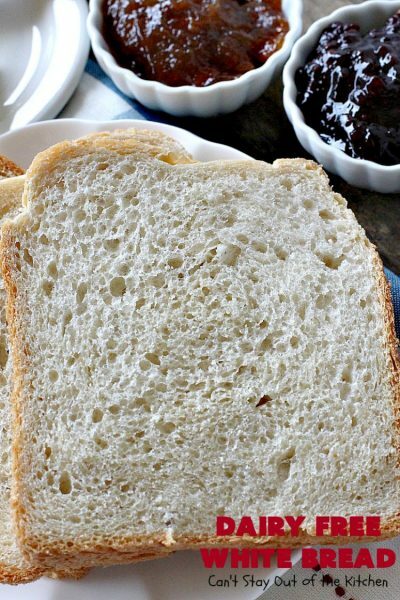 Dairy Free White Bread is a delicious alternative to regular homemade bread. 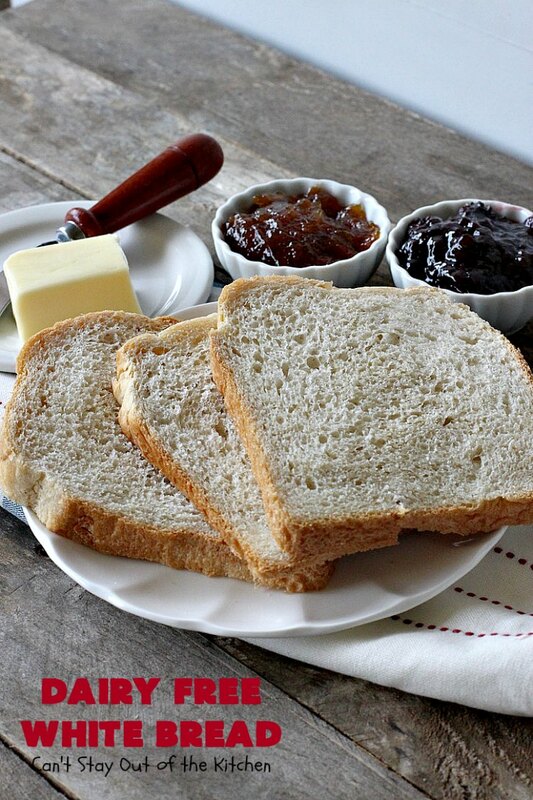 We enjoy serving homemade bread with butter and jelly. But if you’re totally lactose intolerant, you may have to substitute oil or margarine for the butter. 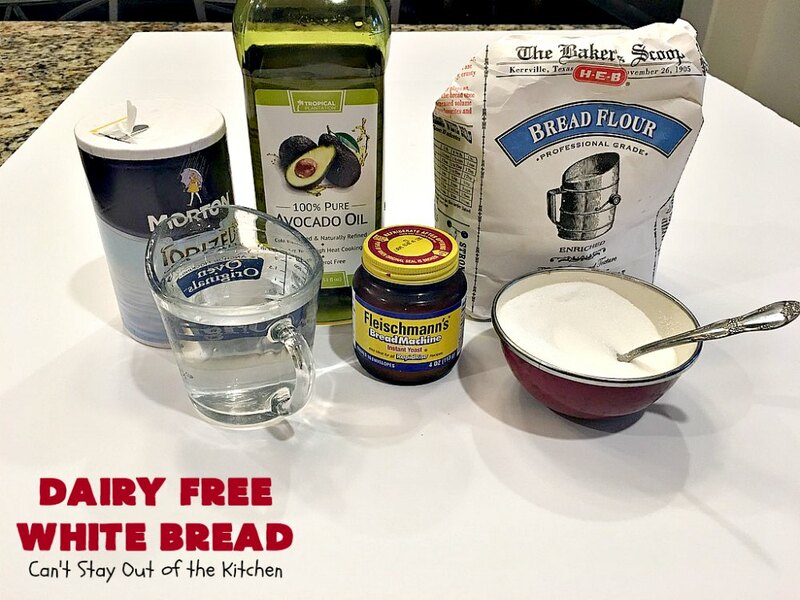 You’re not skimping out on flavor by making this bread dairy free. I personally try to stay away from milk and cheese as much as possible, but butter and Greek yogurt don’t seem to bother me as much. Dairy Free White Bread is terrific to serve for company or family dinners. Spread hot water in bread canister. Add avocado oil, sugar, salt, bread flour and bread machine yeast. 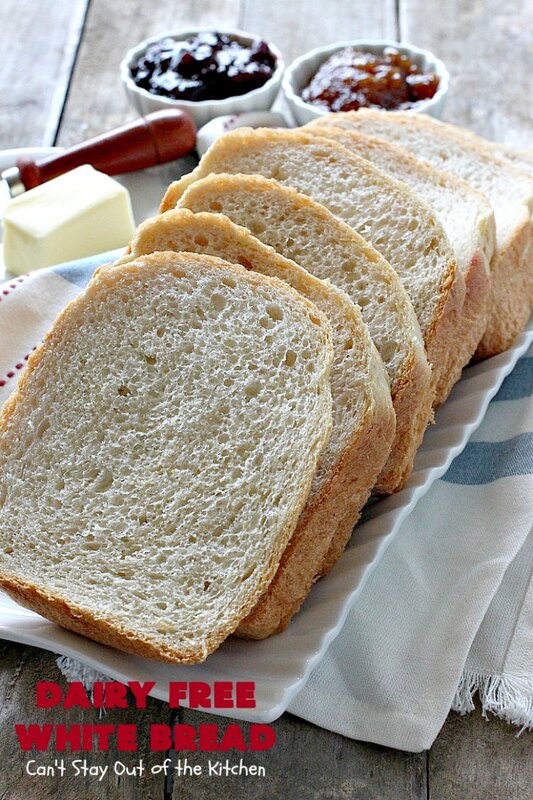 Bake on regular white bread setting – approximately 3 hours. Allow to sit out about 10-15 minutes before removing bread from canister. Brush with either avocado oil or butter. (The family I made this recipe for could tolerate butter but not milk or cheese. 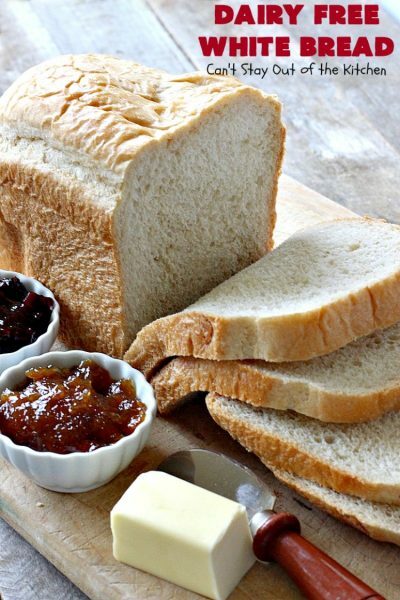 Brushing the bread with either butter or oil softens the crust so it’s not so hard. Allow bread to cool about 30 minutes before slicing down in pieces. I use an electric knife because it slices the pieces more evenly and without getting crumbs everywhere. 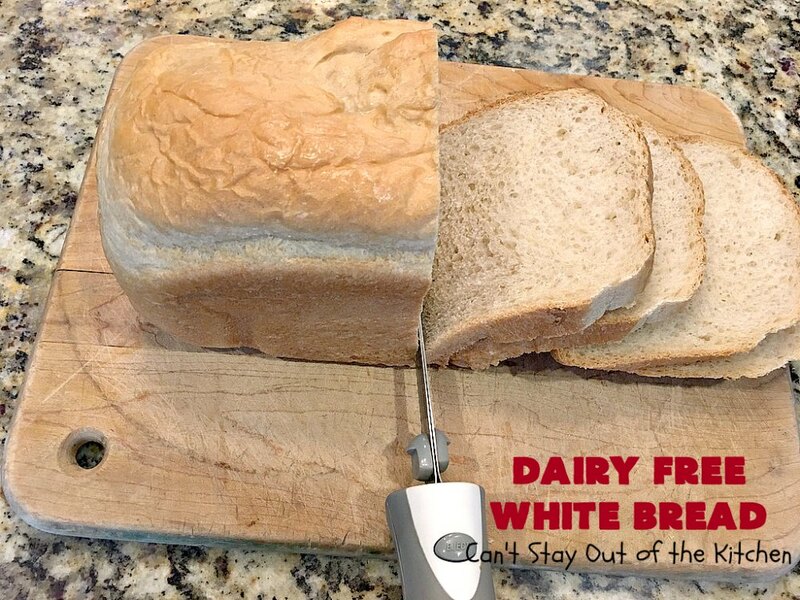 Serve Dairy Free White Bread for holidays too–especially if you have family or friends with lactose intolerance. 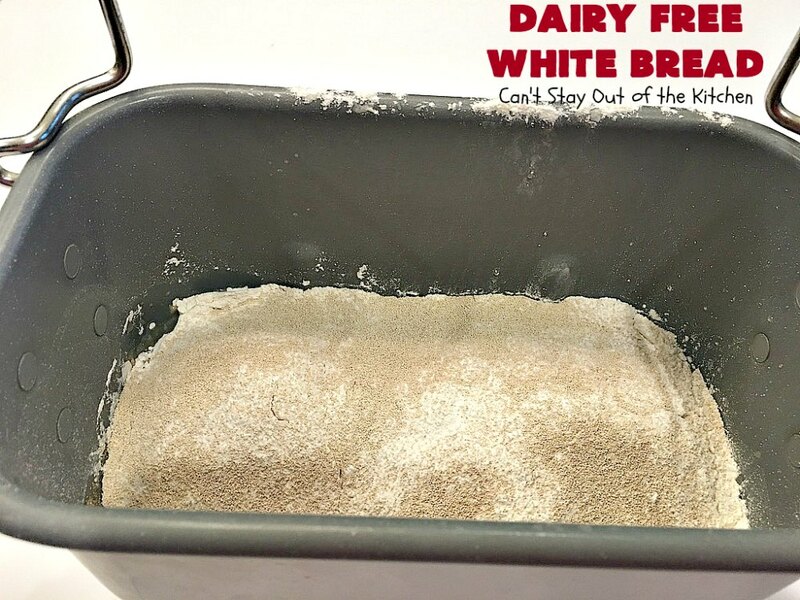 Dairy Free White Bread is so easy to make since it’s made in the breadmaker. It only takes 5 minutes! Here’s a piece of Dairy Free White Bread. This delicious Dairy Free White Bread is so quick and easy since it's made in the breadmaker. It's terrific for company and family dinners. 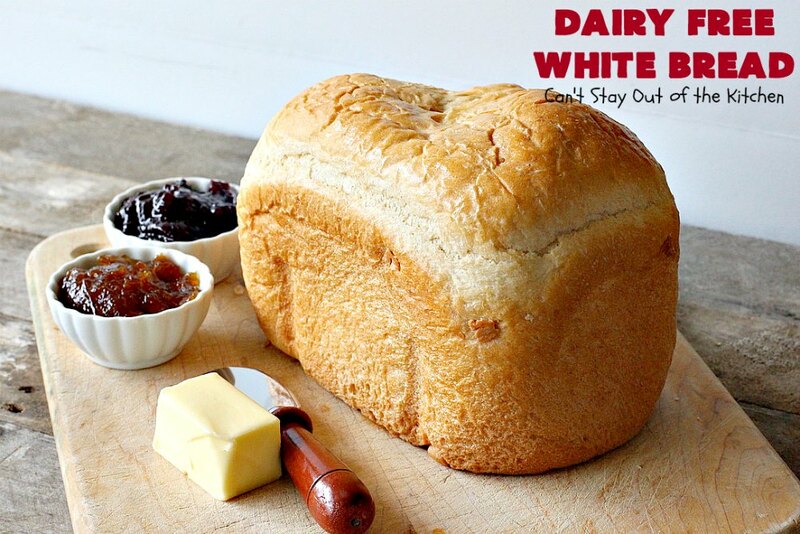 It's perfect for those with lactose intolerance who enjoy a tasty slice of homemade bread on occasion. 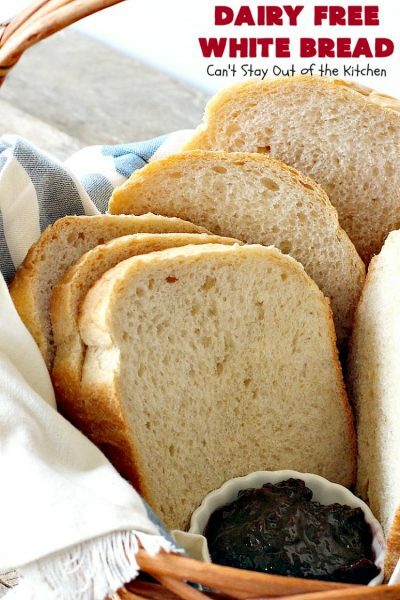 Allow bread to sit about 15 minutes before removing from bread canister. 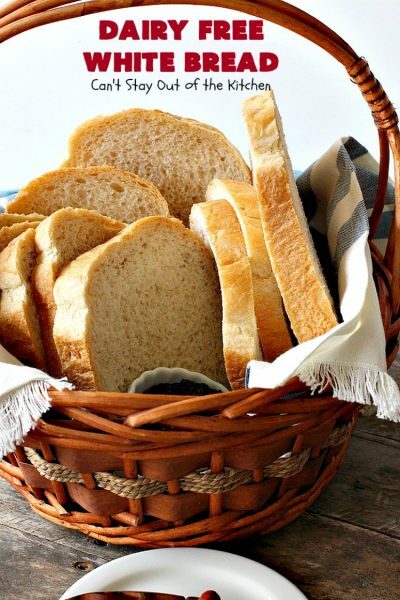 After baking, remove bread from pan and brush with oil so the crust doesn’t harden. 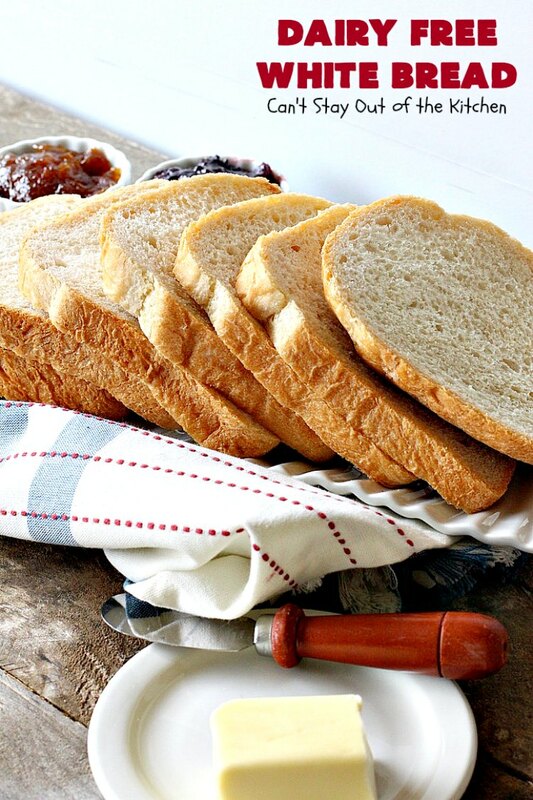 Allow bread to cool 30 minutes before slicing with an electric knife or bread knife. NOTE: Bread made in the breadmaker does a lot better with Bread Flour rather than all-purpose flour. 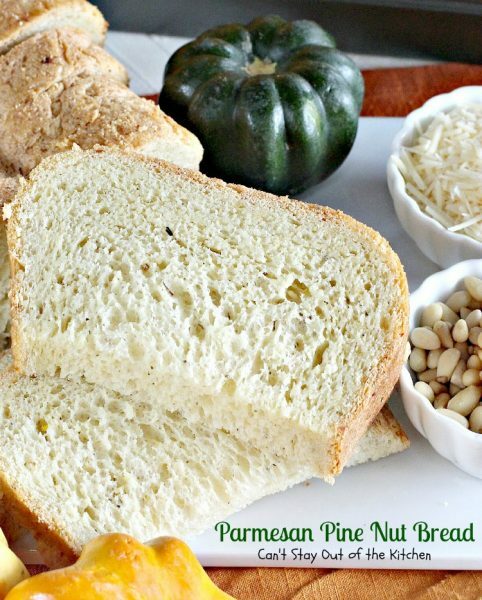 It has more gluten which enables the bread to stick together better and not become crumbly. 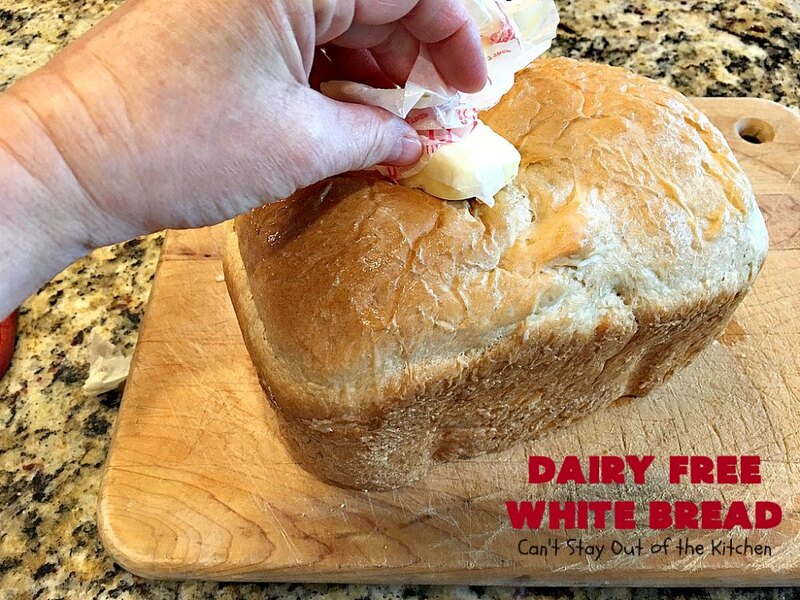 Dairy Free White Bread comes out perfectly sized every time! 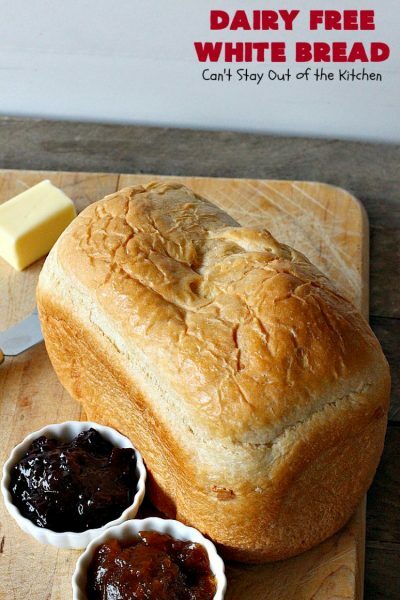 This is a wonderful loaf of bread to take for meals to families in need of a meal….especially if they have lactose intolerance.